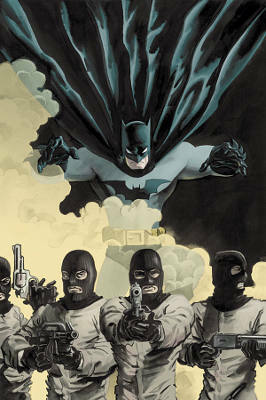 When taking down mobsters and psychopaths, it’s important for Batman to rarely ever be seen. And that’s why he’s made use of various smoke pellets and grenades during his career. The use of stealth is something that was ingrained in his mind after receiving tutelage from the League of Shadows, and he carried those teachings over to Gotham City. When used, these pellets emit enough noxious smoke for Batman to escape from a dangerous situation with ease. He has also used these pellets in order to distract enemies so he can take them down easier. The special lenses in Batman's cowl allow him to see through hazards like smoke without any trouble, but we'll get to those a bit later.